Fab location. Really big with loads of space and bright as big windows. clean and had everything in rooms. Everthinh is good,warm an cozy studio,great building,staff friendly.I had a nice stay here!!! 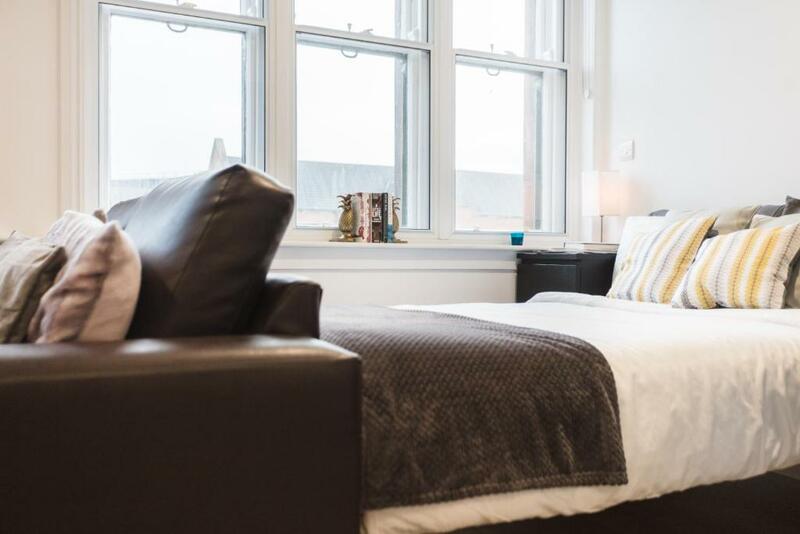 Lock in a great price for The Bruce Building - rated 8.5 by recent guests. One of our bestsellers in Newcastle upon Tyne! Located 650 yards from St James' Park, The Bruce Building provides accommodation and free WiFi in Newcastle upon Tyne. Some accommodation includes a kitchen with an oven, living room, and a private bathroom with shower. Northumbria University is 0.7 miles from the apartment. The nearest airport is Newcastle International Airport, 7.5 miles from the property. The Bruce Building has been welcoming Booking.com guests since 18 Jan 2017. When would you like to stay at The Bruce Building? This apartment has a seating area, microwave and private entrance.